Successfully Added ENLAN A11 Sports DV 3G Smartphone - IP67, 13MP Camera, Android OS, Quad-Core CPU, Google Play, One IMEI, 3G to your Shopping Cart. ENLAN A11 Sports DV 3G smartphone is a unique little device that combines all the benefits of an Android smartphone and FHD sports camera in one compact casing. Although looking like a regular action camera from the outside, it offers you the possibility to insert a SIM card – letting you enjoy all the benefits of a regular smartphone. Perfect for outdoor enthusiasts and extreme sport junkies that like to record their activities while, at the same time, staying in touch with the outside world. This magnificent little gadget allows you to take the absolute most out of your upcoming outdoor and sport adventures. Featuring a waterproof IP67 rating this camera phone is fully resistant against dust and sand while simultaneously being water resistant. Whether you like to hit the beach, enjoy the snowy slopes on your snowboard, or enjoy a muddy mountain bike trip – the ENLAN A11 Sports DV smartphone will follow you whereever you go. Its 13MP camera allows you to snap stunning pictures and shoot detailed 1080p Full-HD video. Displaying vivid colors the footage recorded with this video truly brings forward the moment, allowing you to watch back all your adventures in breathtaking quality. With 4GB of internal memory and the possibility to add additional external storage guarantees that there will always be enough space for you to save your upcoming recordings. Running on an Android operating system this Android phone offers a smooth and fast user experience. With its Quad-Core CPU and 1GB of RAM you will be able to enjoy all the regular smartphone features that you’re used too when using this camera phone. 3G connectivity and Wi-Fi additionally allow you to be constantly connected to your friends and family no matter where you are. With its 2.6 Inch 480p display this action camera allows you to watch back your recordings and pictures in clear detail and vivid color. Additionally, it provides you with a sophisticated screen on which to enjoy the latest Android features. Packing an 1200mAh battery this Andoird smartphone allows you to shoot FHD images and enjoy all its smartphone features for up to 5 hours before needing to be recharged. 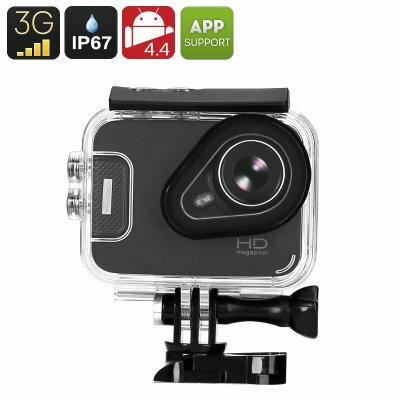 Perfect for all outdoor enthusiasts that like to stay in contact with friends and family back home while out on their adventures – this FHD action camera allows you to record all your doings while providing you with the benefits of a true Android phone. With the ENLAN A11 Sports DV 3G smartphone at hand you can be assured that not a single moment in life passes by uncaptured as, with this little beauty, you have all the means necessary to shoot stunning FHD sport footage while staying connected at the same time. The ENLAN A11 Sports DV 3G smartphone is comes with a 12 months warranty, brought to you by the leader in electronic devices as well as wholesale electronic gadgets..
Arabic: - كاميرا الهاتف - Chinese Simplified: - 照相手机 - Czech: - Telefon s fotoaparátem - Dutch: - Cameratelefoon - French: - Téléphone-appareil photo - German: - Kamera-Handy - Hebrew: - מצלמה בטלפון - Hindi: - कैमरा फोन - Hungarian: - Fényképezőgép telefon - Italian: - Telefono cellulare con fotocamera - Japanese: - カメラ付き携帯電話 - Korean: - 카메라 폰 - Malay: - Telefon bimbit berkamera - Norwegian Bokmål: - Kameratelefon - Romanian: - Aparat de fotografiat telefon - Russian: - Телефон камеры - Spanish: - Cámara del teléfono - Thai: - โทรศัพท์กล้อง - Turkish: - Kameralı cep telefonu - Vietnamese: - Camera điện thoại.